The Men’s Forum meets each month. We welcome you to come and join us. 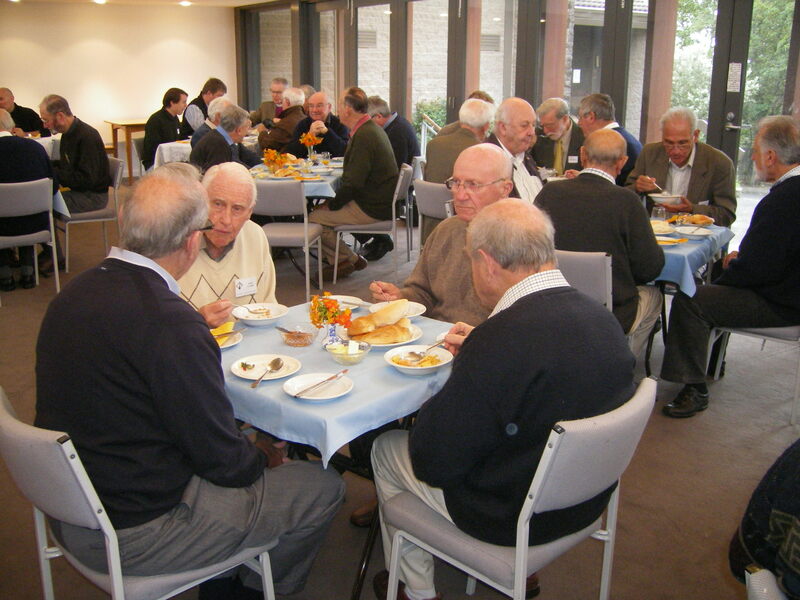 The Men’s Forum was formed in 1996 by the late Hughie Tonge who was concerned that there was no activity within the Church for the men of the Parish. A ‘cuppa’ at the conclusion of meetings – a gold coin donation us\\is appreciated to defray costs, however, meetings are voluntary and no fees apply. We have a lot of interesting speakers, and where appropriate the ladies of the Parish are invited to join us. Occasionally we have a visit to a ‘place of interest’ and these outings are usually well attended. The Men’s Forum celebrates the termination of each year with a Christmas Lunch and accompanying entertainment at a selected venue. This event has proved to be so popular, enjoyed by members and their wives, and it is now open to other Parishioners and their wives. For further information, please contact David Duncan (Group Convenor) via the Parish Office.